There is nothing more exciting to a Senior Student then visiting and touring a university campus. It’s a student’s firsthand view of what university life is like, and get an opportunity to get information, ask questions and decide if that university if a good fit for their future aspirations. A campus visit allows a student to experience the people, the learning environment as well as see the dorms and walk around campus. As well, if there is a KES alumnus available at that particular university, students have the chance to chat with them and ask any pertinent questions. This academic year KES will be heading to the University of Ottawa and Carleton University in Ottawa, Ontario, Queen’s University as well as Concordia University, McGill and Bishops. Campus tours will take place at the end of September. 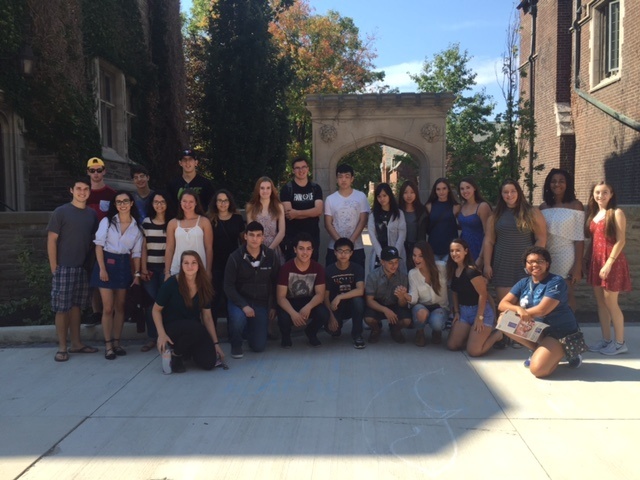 Next year, KES students will head to Toronto, Hamilton, Guelph, London and Kitchener, Ontario to tour campuses there. University campus tours are available to eligible senior students in Grades 11 and 12. We encourage them to sign up and prepare for their trip ahead of time by preparing a checklist of information they would wish to obtain during their tour. We also encourage them to pick up any official university material that is relevant to them, such as brochures, financial aid forms, information about athletic programming, etc. At KES, we understand the importance of choosing the right university. The campus visit plays a crucial role in determining if a school is a right fit for a student. And while we may not be able to visit all of the schools our students are interested in, students are encouraged to look at virtual tours, blogs and other information that may assist them in their decision making process. Even if a school KES is visiting isn’t a student’s first choice, we ask that they still take the opportunity to visit the campus so they can see for themselves what the school environment and atmosphere is truly like. Finding the right university is not just about finding the right school for the best education, but also the place a student will call home for three, four or more years! For more information on how KES can prepare your child for university, plan a visit!